2010 - yearling AFD 15.3, spin fineness 14.9, SD 3.2, CV 20.6, , fibers greater than 30 0.2%, medullated fibers 0.9%, mean curve 58.3, SD curve 34.2, comfort factor 99.8%. 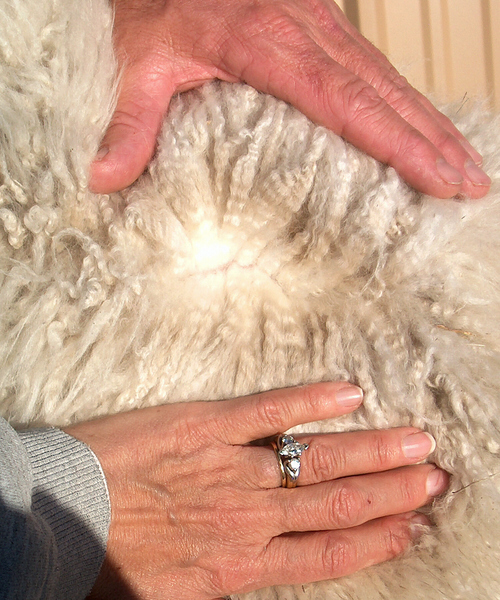 Tuscan Gold is a complete package of perfect conformation, elite fleece characteristics with excellent bundling, brightness, crimp, and uniformity. 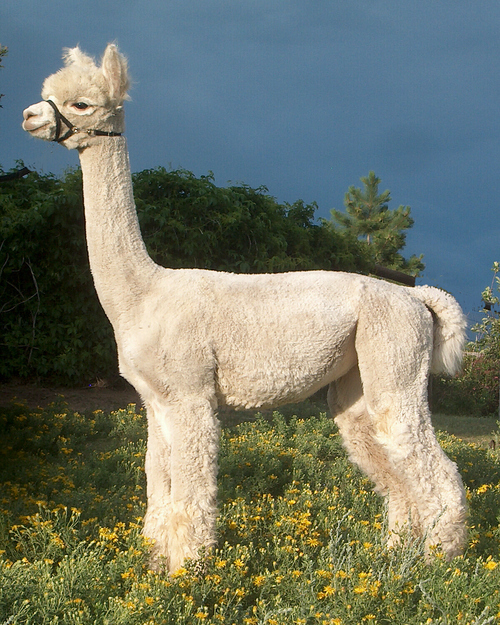 The brightness of his fleece rivals suri luster. He has total coverage of this fleece from his spectacular head to his toes. He just knows he is something special. 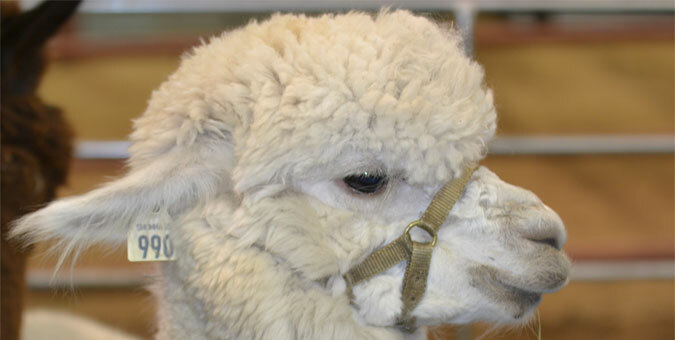 His fleece has earned multiple championships and every specialty ribbon there is. He has maintained fineness well into his breeding years and is passing on this lasting fineness to his offspring. Tuscan stayed below 20 micron until he was 8 years of age when he was 20.0. He passes this fineness on to his offspring. Check out the histograms on sons Tuscan's Maestro, Tuscan's Semper Fi, Tuscan's Perfect Storm, all below 20 micron so far at 2 to 3 years of age. And uniformity is also in histogram mix. A great herdsire is really measured by his offspring, and has Tuscan delivered! He stamps his babies with remarkable consistency for fine, well organized and crimpy fleece with his signature brightness on a beautifully balanced frame with good bone, extremely typey heads, complete leg coverage and his unmistakable presence. These babies have earned several Get of Sire awards for Tuscan Gold and several Breeders Best Three awards. Tuscan descends from the award winning MFI Brock line which has produced multiple champion Tuscan siblings. 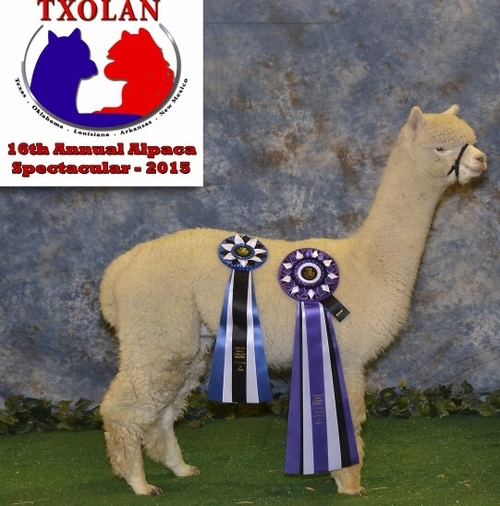 If you are looking to add presence, style, fabulous elite fleece with an incredible hand and extreme brightness, total body coverage, and great heads to your alpacas, Tuscan is your guy. Give us a call to discuss this great male who has proven his prepotency through his offspring. If you like champion huacayas with that teddy bear-look and fabulous bright, fine fleece, that's what he delivers. 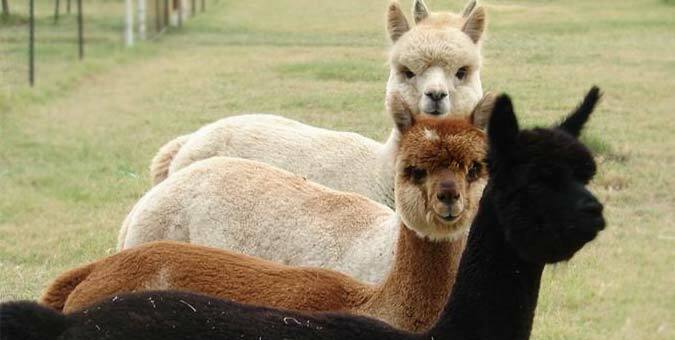 Nice Peruvian import female who has produced stunning crias of fine fleece. 1x Champ, Sire of AOA 2017 Supreme Champion! 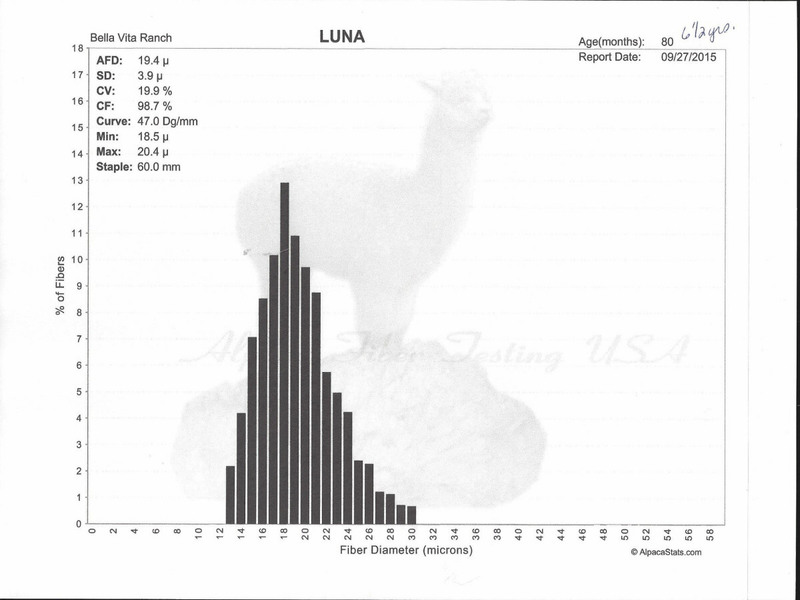 Luna has a large frame, excellent bone, exquisite, bright white, bundled fleece with long staple length, fine at 14.7 as a juvenile and 15.3 micron as a yearling with uniformity throughout. It is said, "She is one of the finest of the Tuscan crias. She is pure bright white with pink membranes, white toenails and no spots or shading. She has a level top line and excellent conformation." 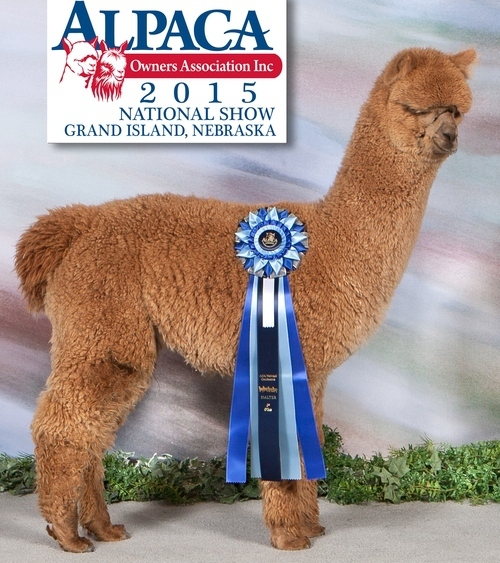 Her physical attributes and gorgeous fleece have placed Luna in the ribbons and excelled her to 1st place at the 2009 GWAS show. 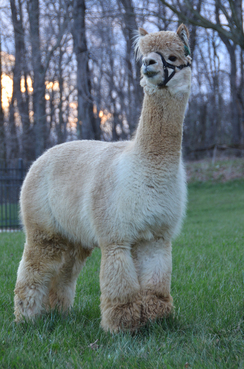 Luna is out of a Peruvian import, Susquehanna, who has produced exceptional crias. 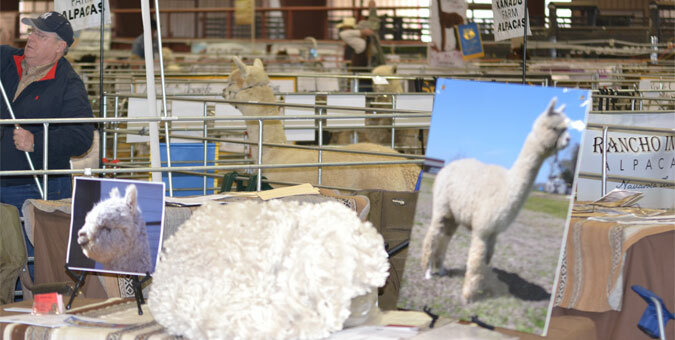 Luna was 1 of 3 crias representing her sire Tuscan Gold and earning him 1st place in the Get of Sire class at the 2009 MOPACA show, his first attempt for this prestigious honor. We entered Luna in the Extreme Progeny auction, but she did not meet her very modest reserve. 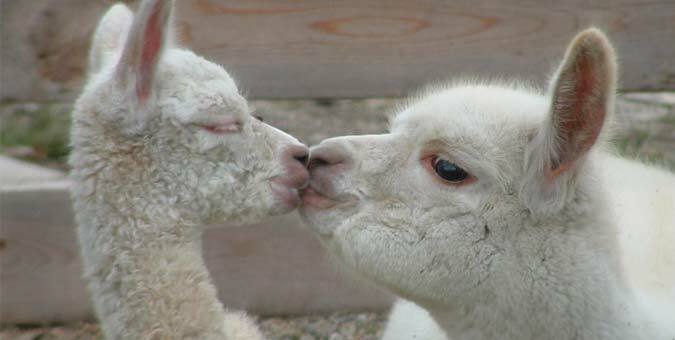 She had her first cria in 2011, sired by Alpine King, a white male carrying great density and uniformity. He was a blue ribbon winner at this first show. 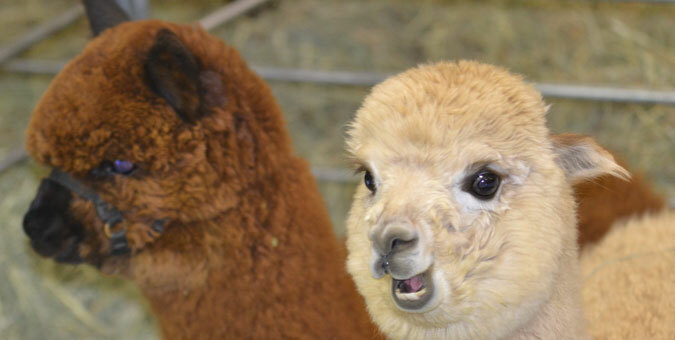 Her second cria, Moonraker, was even better, also by Alpine King, carrying Luna's fineness on his fleece. He is the 2015 TxOLAN white male champion. 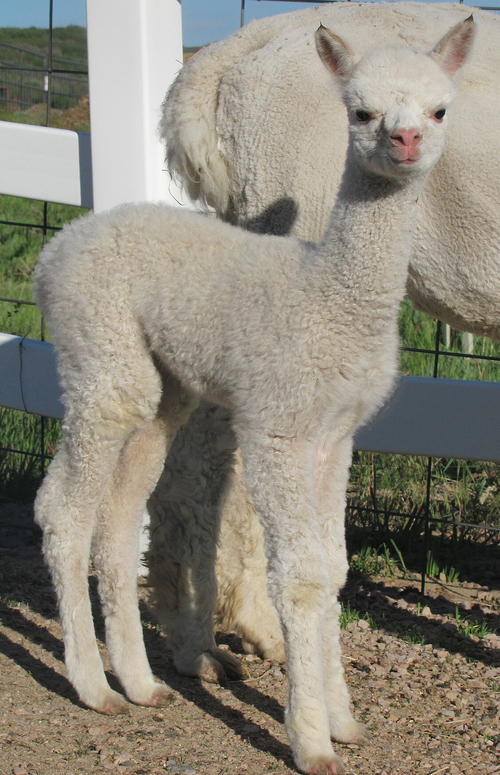 Her 4th cria was sired by Corazon in 2014. She is the stellar medium fawn female, Lucy Lu, who will be offered for auction by Bella Vita Ranch in 2016. She has won a couple of blue ribbons already as a juvenile. Her 5th cria born in 2015 is a medium fawn male named Cosa Nostra, he is much like his sister Lucy Lu and is a definite herdsire prospect. See an animal or animals that interest you? Let us know. We will work with all potential buyers and offer flexible financing options plus package deals. 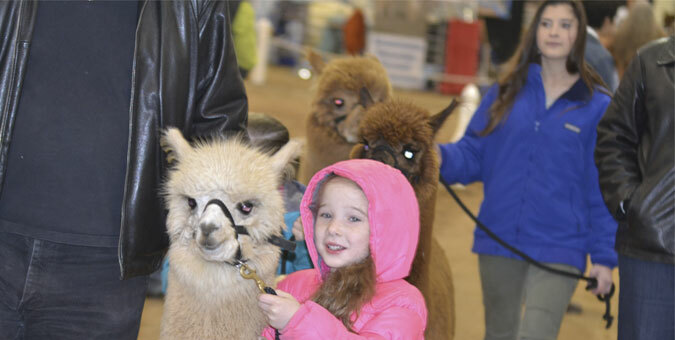 Interested parties please contact Jennifer at 972-742-7450 or email info@nortexalpacas.com. A Spittin' Image of Daddy! Fine, Uniform, Dense and Good Looking!